Imperfectly Painted: OPI Oy-Another Polish Joke! First, I want to wish a Happy Passover to all who celebrate! I have to start cooking...soon....ah! Today, I have another polish from the OPI Euro Centrale collection to show you. I figured since this one had some Yiddish in it with "Oy" it would be fitting for Passover. Or, I'm just really lame for trying to tie in a Jewish holiday with nail polish. This is actually a polish I would of totally passed over if it weren't for Liesl Love Pretty Things who used it to layer over other colors. I give her complete credit for the layering idea. I think this is an amazing topper polish, but I also found it to be pretty nice on it's own. Oy- Another Polish Joke! 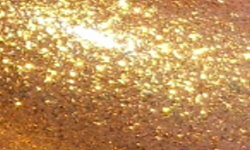 is a sheer golden shimmer. I used 3 coats here. I love gold as far as additional shimmers in colors or as glitter toppers, but I really am not a fan at all of gold on its own. I actually don't mind this, and at least with my skin tone it doesn't clash horribly. I was surprised. The formula on this was easy breezy. Note- It took me writing this post to realize "Another Polish Joke!" wasn't in reference to nail polish, it is in reference to Polish as in Polish people. I'm so dumb, but I see the word Polish now and immediately think nail polish! 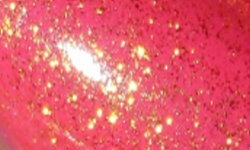 It's obvious that Oy-Another Polish Joke works a beautiful golden topper on a base color. This is stunning. I just used one coat over these polishes, and that is all you need. I love the sun-kissed look it gives on colors! I think you will have fun pairing this one to a ton of polishes in your stash! Layering was the primary reason I bought Oy-Another Polish Joke. Love your combinations. Happy Pesach and thanks for the giggle! I really love this layered!! I don't like gold polish, but as a topper, this is pretty awesome. And chag sameach! I like it much better as layering than by itself. I especially love it over Suzi's Hungary Again. I think it does shine better as a layering polish too. Me too! I never would of thought to layer it if it wasn't for Liesl! I swear to you I totally did not realize I did that all!!!! Lol! Thank you! She did awesome posts with this polish! I can't buy mini sets, I'd be too scared to use them thinking that they will run out! Thank you for showing me how awesome this polish can be! I would of ignored it otherwise!